Participants: The interactive course is suitable for K9 handlers, tactical medics, veterinary and animal care personnel of all skill levels. Training is broken down into skill levels. No one will leave feeling overwhelmed or under-challenged! Fort Riley gives a wide range of venues to challenge all teams. This training is geared to all levels of HRD dogs and handlers. Instructors have carefully planned each prop to allow handlers the opportunity to work residual to large source. Instructors will provide feedback and coaching for students based on training goals outlined prior to each exercise. Close Quarters – Whether it be an automobile line up or a building search, our training scenarios will focus on odor movement to challenge the handler’s understanding of scent theory and to teach their K9 partner about sourcing strongest point of odor. Large scent sources down to trace amounts will be provided. Rubble piles – Access to rubble will allow students to provide the amount of technical difficulty needed for their dog. Again, focus will be on odor movement, completion of the trained final response while out of sight and agility. Larger scent sources will be used. Wide Area Search – Allowing a dog to stretch its legs and provide longer nose time, these scenarios will allow handlers to watch body language from a distance. Larger scent sources and trace amounts will be used across multiple stations. Throughout the three days, handlers will enjoy new scenarios for each type of environment and short classroom sessions over lunch. Classroom topics will include reward systems and strengthening the trained final response, odor availability and environmental movement, and documentation requirements for training logs and search reports. All instructors are nationally known and have extensive experience working with students of all skill levels. The Tactical Canine Casualty Care (TC3) course is a three-day HANDS-ON, intensive training focusing on treatment of working dog emergencies in the field. The course incorporates current TCCC and TECC guidelines with K9 specific anatomy and physiology to provide the most up-to-date life saving information available for working dogs. Training includes multiple interactive, casualty response situations in simulated tactical environments, using canine mannequins and other realistic training aids in dynamic scenarios. The Center for Forensic Training and Education will be offering a unique training opportunity for certified, operational HRD teams where you will spend two full days working through six unique full body scenarios. At each station handlers will have the opportunity to practice their search strategy briefing skills with the group leader, on their, work the scenario as a single blind exercise. Handlers will also have the opportunity to practice their debriefing and receive individual feedback from each exercise to include ways to improve communication of their search strategy and findings. This is not an instructional workshop. It is an advanced scenario training opportunity for handlers to push themselves and their operational canines through exposure to real world, full body exercises. Space is limited to 60 working spots. Unlimited auditor spots available. Meals: Lunches will be provided each day. Hotels: A block of rooms will be held near the training site. Upon completing your registration, you will receive an email with hotel information so that you can reserve your room. 1. Dog must be at least 12 months old and have at least 6 months of HR training at the time of the workshop. 2. You must have a current HRD Land certification from a national or state agency. A copy must be uploaded during the registration process. 3. Dog must be current on core vaccinations per AAHA Core Vaccines: Rabies, and Combination vaccine (Distemper, Adenovirus-2, Parvovirus, +/- Parainfluenza). Current titers also accepted. Visit hosting organization’s website for details. **Due to the focus of this seminar, we are limiting this to one dog per handler so you can focus on getting the most out of the exercises and scenarios over the entire weekend. Visit hosting organization’s website for further details. This two-day intensive workshop is designed to expose experienced K9 teams to the continuum of advanced decomposition. This is the first time the CFAR has made their facility available for canine training. This workshop is focused on HRD, however limited enrollment is available for live find K9 teams. Field exercises include exposure to whole body human remains in various stages of advanced decomposition, including unprocessed human skeletal remains. Scenarios are modeled after those frequently encountered in search missions and include: (a) whole body exposure; (b) rubble pile search; (c) water shoreline search; (d) abandoned building search; and (e) clandestine concealment in industrial barrel search. Location: Southern Illinois University – Carbondale. Enrollment includes snacks, water, lunch, facility and classroom access, all training materials (including hard copies of classroom materials), and a t-shirt. Prerequisites: Out of concern for our active research and our human donors, applicants are required to apply for participation by submitting: (1) an application; (2) proof of current National Certification or a letter of support from a sponsoring team or law enforcement agency; and (3) a photograph of your canine partner. COURSE APPLICATION: https://form.jotform.com/90376404282153 Please submit supporting documentation in a single email to Christiane Baigent (Christiane.baigent@siu.edu). Please allow one week for response following the submission of materials. Application does not guarantee a spot in the course. Applications will be reviewed in the order in which they are received until the course capacity has been filled. This land-based workshop allows participants to work search areas including grassy fields, woods, urban environments, and buildings. Participants will have the opportunity to work a wide range of source materials; including the ability to expose their dogs to full body decomposition. Classroom instruction will include the human decomposition process, bone identification, forensic taphonomy, and much more. Space is limited to 36 working spots. Unlimited auditor spots are available. Schedule: Day 1 – focus on solidifying the final response and reward systems, which will immediately coincide with small group exercises to reinforce the trained final response. Afternoon Day 1 - Day 2 we will maintain our distinct approach with three field exercise periods that include stations that reinforce team techniques in building searches, area search, and working on full body decomposition. Day 3 - a full day of training and will feature additional final response training, and an additional opportunity to work on full body decomposition and isolated large source remains. Instructors: Lisa Higgins, Brad Dennis, Paul S. Martin, Deana Hudgins, and others. 1. Dog must be at least 12 months old and have at least 6 months of HR training. 2. Dog must have a reliable trained final response for HRD. This workshop is designed to improve the accuracy and efficiency of Human Remains Detection dogs and handlers working in a still water environment. During the three day training we will focus on improving both the K9 and handler’s search strategy and skills in a still water environment. We will cover special considerations for water searches and minimum handler and K9 safety recommendations. There will be multiple opportunities each day to work large training sources from boats and along the shoreline. Teams will benefit most from this course if they have had at least some experience working from a boat prior to attending. Space is limited to 10 working spots. Unlimited auditor spots available. 3. All handlers participating in the training must have a current land certification. A copy must be uploaded during the registration process. 4.Handlers must bring a PFD to the training. K9 PFD is optional. 5.Dog must be current on core vaccinations per AAHA Core Vaccines: Rabies, and Combination vaccine (Distemper, Adenovirus-2, Parvovirus, +/- Parainfluenza). Current titers also accepted. Have you been looking for an opportunity to challenge yourself and your k9 partner? Do you want to get out of the “usual routine” with your training drills? Join us at Camp Atterbury, Indiana to push the limits of your training! This seminar is designed for intermediate to advancedArea Search teams and Disaster dog teams (both live and HRD) . This is a unique training event, in that there will be less ‘instruction’ and a greater focus on scenarios and challenges for the K9/handler team. Your obedience, agility, directability, search skills and ability to work as a team will all be tested during this event. There will also be team debriefing with instructors and participants. This event is open to 10 dog/handler teams. K9s must have a reliable trained final response and ideally will also have experience working real searches. This seminar will serve as both an excellent introduction to urban search and rescue techniques, as well as a weekend of fun, challenging scent pictures for experienced K9s. This event is open to tracking/trailing and HRD K9s of all experience levels. We will be training at the Fire and Emergency Services Training Center in Stillwater, Oklahoma, and will have access to multiple fully operational buildings, introductory rubble, vehicle line-ups, confined space scenarios, and many other challenges for your K9s to be able to experience. The trailing K9s will also spend time in the urban environment of Oklahoma State University’s campus. This seminar equally beneficial for the novice dog looking to work foundations as it is for the experienced dog looking to hone their skills on complex scent puzzles and new techniques for navigating a more urban environment. Techniques for searching buildings and vehicles. Motivational components to maintain focus in distracting environments. Skills for deploying in an urban environment. Challenging scenarios for more experienced K9s. Real world scenario based work. Stations will also be set up throughout the course to provide continuous opportunities for exposure to large scale surface remains and solidifying the final response. This course is for intermediate and advanced teams. 3. You must have completed the Foundations workshop prior to attending the Burials workshop. This could have been completed through attendance at one of the 2017 or 2018 HRD Specialized K9 Trainings in Ohio or at one of the Level 1 classes at Western Carolina University from 2012 – May 2016. 4. Dog must be current on core vaccinations per AAHA Core Vaccines: Rabies, and Combination vaccine (Distemper, Adenovirus-2, Parvovirus, +/- Parainfluenza). Current titers also accepted. We will kick off 2019 with a variety of “Fun Hunts” that will test each Handler’s ability to safely navigate themselves and their canine partners through a variety of disaster scenarios designed by Teresa MacPherson and Deborah Burnett. As Instructors, Teresa and Deborah will observe and critique the teams’ ability to locate live victims for rescue, and apply problem solving techniques. In addition, a portion of the weekend will focus on Advanced Reward Systems, once referred to as “Drive & Decoy” training. Handlers will learn how to develop and channel drive, as well as better motivate a variety of breeds, so as to get the most out of each Search Dog on their task force. Visiting hosting organization’s website for further details. 2 day Live Find/HRD disaster K9 workshop hosted by Superfit Canine at the National Disaster Search Dog Foundation's (SDF) National Training Center in Santa Paula, CA. SDF's National Training Center is a state-of-the-art facility that occupies 125 acres of land in the Santa Paula Foothills, just minutes from the Pacific Ocean. Superfit Canine prides themselves in providing training opportunities designed to strengthen deployment ready K9 teams. While most of their workshops are not formally instructional, they only utilize highly experienced working K9 handlers and other professionals to provide leadership to the teams that attend our events. 2 day Live Find/HRD disaster K9 workshop at Camp Williams, a National Guard Training site near Salt Lake City, Utah. Don Blair is returning to NH to provide a series of semi-private / private sessions on July 11 and 12, and to provide a working detection seminar from July 13-15th. There will be 8 private/semi-private slots that will be filled on a first come first served basis. These slots will be 2 hours in length and will focus on the key issues that the handler would like to target. The 3 day working detection seminar will encompass lecture, demonstration and field work and will include information on diagnostic evaluation of the detection sequence, the "power" of the point to point, scent discrimination, and search sequence training. Handlers and dogs of all training levels are invited to participate. Available seminar aids include HR and nosework. Handlers working with narcotics, explosives, bedbugs, etc. will be asked to provide their own aids for the seminar. Semi-Private Sessions: each 2 hour session will cost $330 and can be shared across 1-4 handlers. Auditors for the semi-private sessions will be at the discretion of the attendees and when allowed will be for $50.00 each day. Law enforcement personnel will have free audit access to the lecture portion on Friday July 13. Special rate: semi-private session and full 3 day seminar: contact the organizer! Don began his lifelong addiction to the canine profession at 8 years of age, training obedience on the family dog through a local 4-H program in Colorado. In his 40+ years of experience he has been deeply involved in a variety of canine fields. As a canine competitor and instructor he has titled numerous dog and handler teams to many titles in several disciplines. As a Police K-9 hander, Don and Police K9 “Ranger” had numerous felony apprehensions, hundreds of narcotic seizures and qualified 5 years straight for the United States Police Canine Association National Police Dog Trials. As a U.S. Customs and Customs and Border Protection canine instructor he trained over 60 classes of domestic, international, state and local law enforcement students in various courses. He has continued to instruct courses for other agencies including canine aggression, animal behavior, basic and advanced handling and deployment, detection (all areas) canine selection, decoy work, tracking/trailing and other animal and canine related courses. He has overseen the training and certification of hundreds of local, state, federal and international canine teams and is still active today as a decoy, trainer, Judge and seminar speaker. Don has been utilized as an Expert Witness in U.S. Federal Court for his expertise in canine detection and aggression. Don was detailed to Auburn University as a Chief Instructor for the Canine Detection Training Center and is currently a contract police canine trainer for several U.S. law enforcement entities. Don has traveled extensively throughout the Middle East, Europe, Canada and Mexico training, advising, problem solving and learning. Don holds the following accreditations- CPDT-KA, USPCA Regional Judge (all areas), K-9 Nose Work Judge and an AKC K9 Good Citizen Evaluator. He was a prior SWGDOG member and now serves as a member of the NIST Dogs and Sensors Subcommittee. 2 day Live Find/HRD disaster K9 workshop in VA Beach, Virginia being held immediately following our 2-day, Enhancing the Reward Event workshop. Other details TBA. 2 day Live Find/HRD disaster K9 workshop at Muscatatuck Urban Training Center in Indiana. Other details TBA. The National Disaster Search Dog Foundation (SDF), in conjunction with instructors Dr. Cynthia Otto, Tracy Darling and Dr. Erin Perry, is pleased to announce this outstanding training opportunity! We will be offering a Canine Wellness training workshop at our National Training Center (NTC) in Santa Paula, CA, May 5-6, 2018, as part of our mission to strengthen disaster response in America. This course will only be offered by SDF once in 2018 and is available to twenty (20) canine Handlers on a first-come, first-served basis. In addition, up to ten (10) Observers may register for the full workshop in a hands-off capacity. This workshop is being made available to our nation’s Handlers of working canines only. Canine Wellness Course Description: The target audience for this workshop is trainers, handlers, and program managers responsible for the maintenance and physical conditioning of working canines. a) K9 Fitness - This is an opportunity to build a repertoire of exercises that will enhancing the working canine’s performance and endurance as well as minimize their risk of injury. It will cover core strength, flexibility, proprioception (limb awareness), agility, strength building, and pre– and post– work stretching. b) K9 Nutrition - Participants will learn about ingredients, diet selection, and supplements. They will also leave with an understanding of dietary impact on olfaction and GI Upset in the field. This 4-day educational event that strives to advance the health and performance of our nation’s working dogs through sharing of cutting edge scientific discoveries and applied techniques. Attendees include veterinarians and technicians, trainers, handlers, breeders, and scientists. Registration is limited to 250 attendees to maintain the collaborative and open environment for which the Penn Vet Working Dog Conference is known. 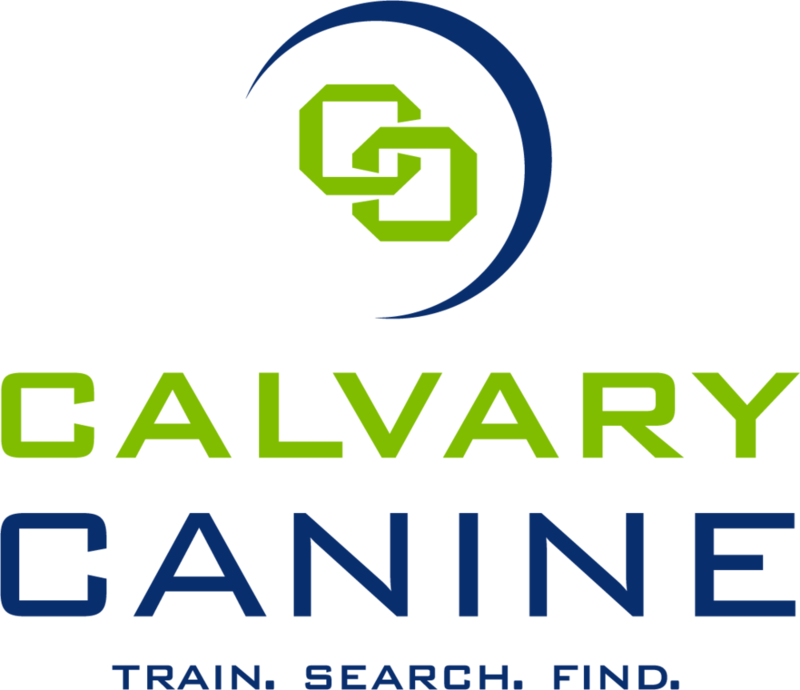 Close Quarters – Whether it be a train derailment, an automobile line up or a building search, our training scenarios will focus on odor movement to challenge the handler’s understanding of scent theory and to teach their K9 partner about sourcing strongest point of odor. Large scent sources down to trace amounts will be provided. Rubble piles – Access to large heavy rubble and a pallet pile will allow students to provide the amount of technical difficulty needed for their dog. Again, focus will be on odor movement, completion of the trained final response while out of sight and agility. Larger scent sources will be used. Throughout the three days, handlers will enjoy new scenarios for each type of environment and short classroom sessions over lunch. Classroom topics will include reward systems and strengthening the trained final response, odor availability and environmental movement, and documentation requirements for training logs and search reports. Join us for a full three days of hands on field work at this exciting venue! This seminar will focus on the use of operant conditioning training techniques to shape behaviors in working canines used for law enforcement, military or sport applications. Additionally, seminar lecture will cover detection training components, canine selection and shaping fundamentals. There will be a limit of 10 working slots. To hold a working slot, attendees MUST ATTEND Tuesday April 10th lecture as this will outline Don’s training approach and philosophy. Please be aware that, other than demo dogs, few if any dogs will be worked on Tuesday. All working slots will have an opportunity to work dogs on Wednesday, Thursday & Friday. All auditing slot fees must be paid by Tuesday April 3rd, 2018. Auditors wishing to pay on the day of the seminar must pay by cash. Checks will not be accepted on seminar day. Working Slots may be cancelled without fees up to Tuesday March 27th, 2018. Cancellations received after March 27th, 2018 will incur a 10% cancellation fee off the price of the Working Slot. Audit Slots may be canceled at any time and will receive a full refund. 2 day Live Find/HRD disaster K9 workshop in Tulsa, OK. Specific dates and other details TBA. Limited to FEMA Canine Search Specialists only.